You are invited to bathe in nature's splendor and explore the sweetness of your senses on this Spring Retreat! Our intention for the Spring Splendor Day Retreat is to mindfully and compassionately connect to our senses, becoming awakened by the beauty of being! We will explore taste, touch, smell, sound, sight & intuition, with playfulness and presence. Through mindful & soul-nourishing activities, we will inhabit our own experiences of the world around us, as well as the cosmos within us, and tap into the subtle joys and magic of feeling. At this intimate urban day-retreat, we will establish a safe and sacred space and give ourselves the gift of time dedicated to self-care and connection. We will take a pause from our hectic daily lives to refresh, renew, and reconnect to the pure sweet essence of ourselves in the Spring season, all without having to leave the city. 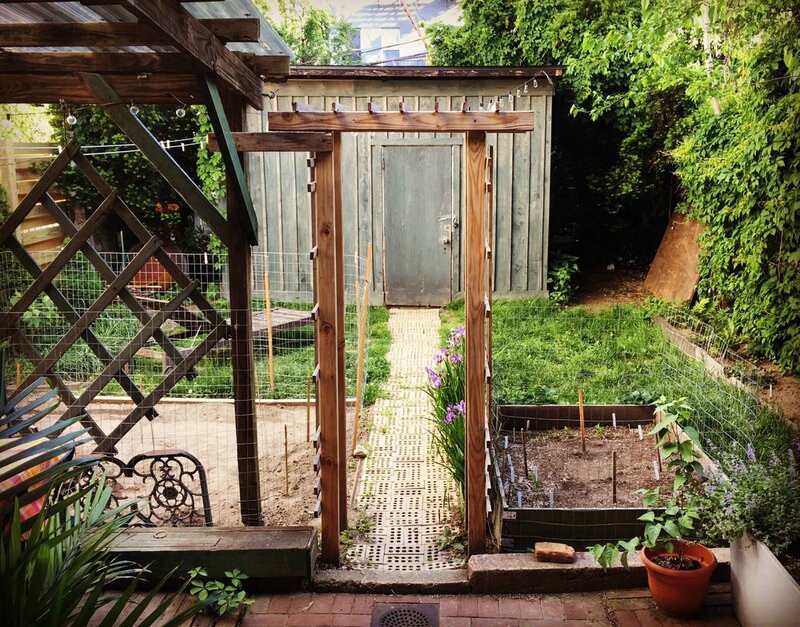 At Firebird, we will journey between our cozy womb-like studio space and the backyard throughout the day, to be reminded that nature is never far, and she is always here to support us if we ask. Please bring a nourishing lunch to eat, a water bottle, a notebook and pen, and dress in cozy clothes and layers. You’re welcome to bring any crystals or special items to contribute to our group altar. To redeem, enter the code "SPRINGFRIEND" at checkout! This retreat is open to all! Please reach out to us at hello@firebirdhealingarts.com with any questions! Sarah Rayne is a Reiki Master, a facilitator of joy, a healing artist, and the founder of Firebird Healing Arts Alliance. Her mission is to help lead others towards re-discovering the joy of natural creative and community practices, to empower them to walk their own path of self-healing. As a queer woman, she is dedicated to honoring and uplifting those communities and identities, while being an ally for people of color, and folks of all identities and beliefs who are in need of support. Her passions include music, art, and nature. She is here to shine her light, in hopes that it will inspire you to shine yours, too! Kristen Volpone is a Sr Jamtse Yin Yoga teacher, Reiki Practitioner, Heart Conscious healing artist, and co-founder of Wandering Roots Wellness Events. She is a teaching assistant to Biff Mithoefer, author of The Yin Yoga Kit at Jamtse Yin Yoga Training's. Kristen guides Yin Yoga classes and workshops throughout New York City & Brooklyn. She explores tides of emotion that come with living, Being, and human experience through Yin, Poetry, and Heart wisdom. Kristen brings her compassionate awareness and life experience to offer spacious & sensitive experiences that nourish compassion and harmony to those who feel heaviness from PTSD, anxiety, loss, illness, and grief. She hopes to humbly assist in people’s journey’s as a reminder for them to see & embrace their own hearts. She is grateful to all her teachers known and unknown that have enriched her path of remembering. Drawing inspiration and appreciation from Natures expression of life, Kristen finds joy in all our manifestations and abilities as human. She aims to live in celebration of all the magical things in each and every moment.